The SmartPath "Guide to College Clubs” includes key lessons and handouts on a variety of topics including college planning, financial aid, financial literacy, and budgeting. This Guide helps to steer college club meetings and outcomes in our SmartPath schools and allows The Education Fund to share the college club strategy with more high schools across the country. Download the free lessons below to share with your school and students. For more information on the complete Guide to College Clubs, contact the program director. 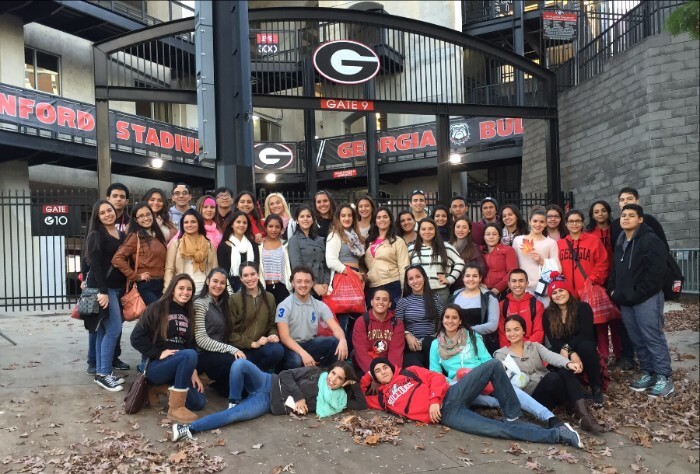 Westland Hialeah Senior High College Club students visit the University of Georgia.